This book is a well-rounded introduction to the principles of critical thinking. The book provides tips and steps that are easy to follow, yet very effective in solving problems of all kinds. This guide is helpful to people of all walks of life. The techniques it provides are useful - cutting across careers, businesses, political and even the social arena. 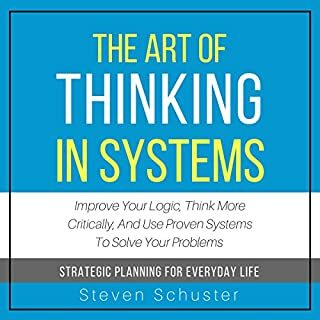 After listening to this book, you will be amazed at the amount of resources you can save just by making critical thinking part of your everyday life. 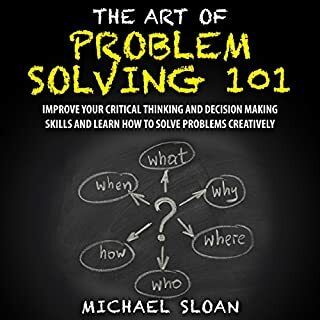 With The Art of Problem Solving 101, we're here to teach you how to unlock your natural problem solving abilities and not only teach you how to solve problems but also teach you how to become a problem solver. Problem solvers live different lives from other people. They learn to embrace adversity, develop important processes, and work through any challenges in their lives. With the help of our book, you can become one, too, even if you don't feel like you have an analytical mind. 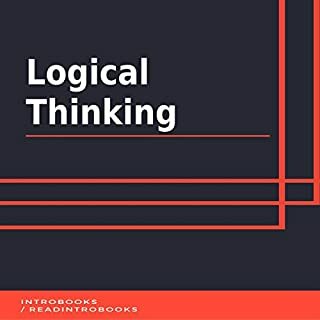 Here, the various arguments of logic are also discussed in order to understand the application of the right kind of logic to a particular problem. Apart from this, there will also be a section of the different types of logic that are most common to humans and are used most commonly used. Critical thinking is a skill that has to be trained and practiced like any other skill. Being able to solve difficult problems, and make clear and precise decisions, are of vital importance in today's dynamic environment, and is the only real competitive advantage we have to compete in the marketplace. 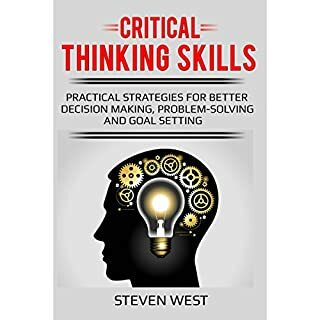 This audio workbook is a great introduction to various practical practices you can use to improve your critical thinking, problem-solving skills, and goal-setting skills. Intelligence can be developed and trained. Critical thinking is a skill many people have forsaken. They follow the masses, the media, the trends, or some role model they admire. However, when you think outside of the box and use pure logic to calculate your decisions, your life can be happier, more fulfilling, and more risk-free. In Critical Thinking: A Foolproof Step by Step guide for Problem Solving Using Critical Thought, you will learn that critical thinking involves learning about our own biases and the biases held by others, including those who hold leadership positions in our government, our educational institutions, and our media, in order to better understand and evaluate the information that bombards us daily. Are you someone who would like to learn how to make smart critical decisions or just improve your mind at all? Are you tired of making irrational decisions and paying the consequences for them? Then this audiobook about critical thinking might be right for you! Many believe that people are just born with the ability to think critically, but that's not true! Critical thinking is a skill that anyone can learn how to do and how to build upon in order to make themselves master critical thinkers. Those who are in college, in careers where they have to make decisions on a regular basis, or would just like to know how they can become better learners should take a listen to this book. Many critical thinking strategies you can use to get started today! 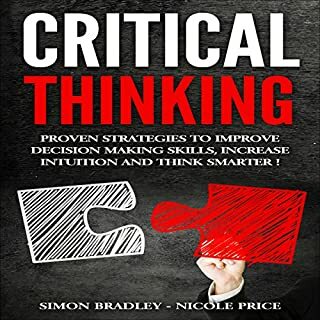 So scroll up and grab a copy of this audiobook on critical thinking if you want to know how you can make better decisions and how you can give yourself a boost in your career! Good Clift notes on critical thinking. 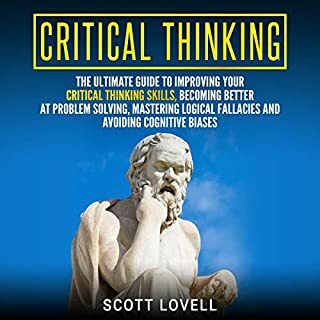 it's a good book that explains what the ideal critical thinker looks like but it does not have in-depth information on how to become one. Simple to understand and yet extensive. I truy enjoyed the fundamental and necessary lecture on Critical Thinking. I plan on using it in my le tures. I wish it were in printed form for my students to read and digest. This ebook states the obvious and does not provide any real content. Not a learning tool. 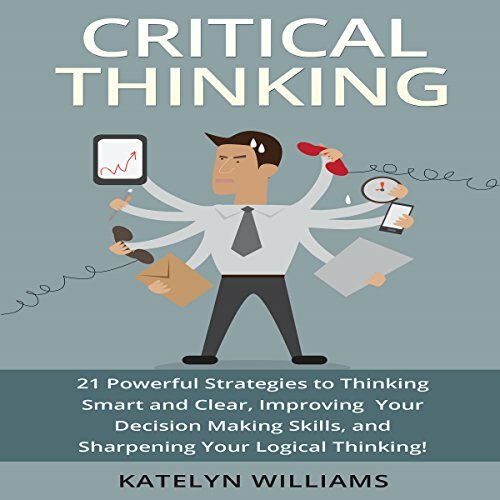 Katelyn Williams delivers a short bible of tools that we all can benefit from, to make us better listeners, better thinkers, and less vulnerable to double talk, manipulations, dog whistle politics, and flawed logic. I loved it. Great overview of what it takes to develop critical thinking skills and the strategies given can be used right away! Excellent book! A very useful book to practice critical thinking skills for anyone who want to improve it!I Love it so much! Even if you are good at the art, this intense "how-to" radically changed how I deal with situations. Be ready for non-stop note taking and make flash cards. I noticed immediate changes in thinking and processing patterns.